Apple’s quarterly financial calls are usually a time for big numbers: record revenue, billions in income, millions of iPhones sold, etc. But what I always find more interesting are the smaller tidbits that make their way through, like tiny rowboats at risk of being crushed by the monstrous rocks that are Apple’s blockbuster financial results. This quarter was no different. 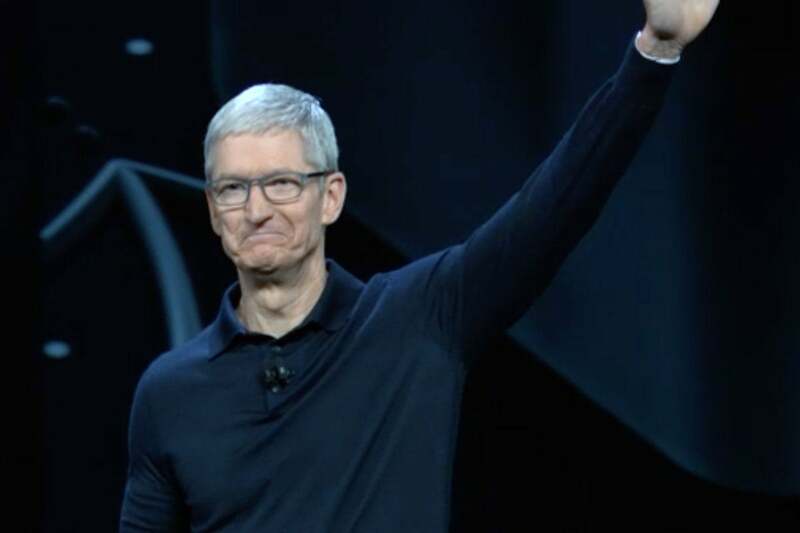 There were more than a few breadcrumbs dropped by Apple CEO Tim Cook in-between fielding questions about gross margins and talking about tariffs, some of which zipped by so fast that they were all too easy to miss. I’ve picked out three that perked up my ears, along with the larger significance that I think they import. As someone who shops regularly at CVS and is always a little frustrated that I can’t just pay with my iPhone or Apple Watch, the news that the pharmacy chain would soon be accepting Apple Pay is music to my ears. The newsworthiness is amplified by the fact that CVS was one of the most notable holdouts to Apple Pay adoption, having signed on to the NFC-based payment standard known by the somewhat eye-twitching name of CurrentC. Before CVS started to accept Apple Pay, it was part of the CurrentC payment program. MCX, the consortium that created CurrentC, halted rollout of the system back in 2016, but until now there hadn’t been much news about its members—which also included the likes of Best Buy, Lowe’s, Michaels, Publix, Target, and Walmart—adopting Apple Pay. A few, like Target and Walmart, have opted to instead create their own digital wallet systems. It’s not hard to understand why, either: Target and Walmart badly want all possible data about what you’re buying, something Apple Pay makes much trickier. But between CVS and 7-Eleven (the other retailer Cook mentioned by name), the former CurrentC members at least have the ability to go their own ways, so it won’t be too surprising if a few more of them make their way over to Apple Pay. And with Cook’s comment that Apple Pay had more than one billion transactions last quarter, it sure seems like, in the immortal if apocryphal words of bank robber Willie Sutton, it’s where the money is. The early days of the AirPods were fraught with scarcity issues. The ship date for the headphones were delayed, and even once they were available, the roll out was gradual. But most everybody who actually managed to get their hands on them agreed that Apple’s wireless earbuds were pretty fantastic. Now, a year and a half since the device’s launch, the popularity of the devices hasn’t slowed down. As CFO Luca Maestri pointed out during the call, the company is still selling the wireless earbuds as fast as they can make them. 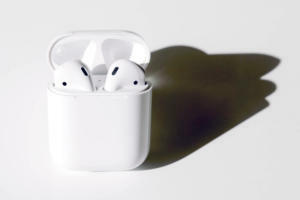 Tim Cook compared the experience of seeing them to the original iPod, where the sight of the white earbuds eventually became ubiquitous; I too have seen AirPods popping up all over in the last year or so. Usually Apple products hit a supply/demand balance after they’ve been available for a little while, so it’s interesting that AirPods aren’t quite at that point yet. Part of that probably speaks to the challenges in scaling up production; the AirPods are small, precise devices that no doubt are difficult to build in quantity. But it also makes me wonder about the next version of the AirPods, for surely there will be a next version. It’s true that we’re still waiting on the wireless charging case that Apple teased at last year’s iPhone event; that could make an appearance at a September announcement, but Maestri’s comment makes me wonder if Apple might already be transitioning to an updated model of AirPods to show up alongside the new case. But that’s still a pretty healthy chunk of people—many of whom are end users and not developers—using pre-release software. More, I’d wager, than most other comparable betas, and I’m not counting Google’s perpetual “beta” labels here. Hopefully that large base of beta testers also means that the software as eventually released is even more stable, thanks to the sheer number of eyes on it. But, more importantly, this speaks to Apple’s marketing prowess, which helps entice users into wanting all those new features it shows off at WWDC. Despite the risk of bugs or rendering their devices unusable, people are still dedicated to trying out those capabilities before they’re officially ready. Just one more reminder that Apple’s a tech company that’s not quite like any other.